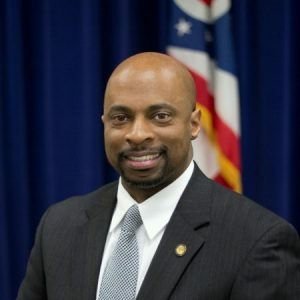 Ohio Gov.-elect Mike DeWine said Tuesday evening that he plans to make Ervan Rodgers II, the chief information officer for the state attorney general’s office, the statewide CIO when he takes office next month. DeWine, who’s been Ohio’s attorney general since 2011, announced his selection of Rodgers during a news conference in Columbus at which he introduced several others he plans to make senior members of his administration. Rodgers is one of several officials from the attorney general’s office who will be making the transition to the governor’s mansion, the Columbus Dispatch reported. Named as the CIO of the attorney general’s office in 2015, Rodgers has been the top information technology administrator for an agency with more than 1,500 employees and 30 legal sections. According to his LinkedIn page, he’s managed an agency IT budget of about $50 million and a 75-person staff, plus a few dozen contractors. During Davis’s time in the CIO’s office, Ohio completed a data consolidation project that saw more than 30 individual agencies’ data centers consolidated into a single statewide hub. And while the state government’s data is now physically managed in one place, Davis said one challenge for its next technology leader will be getting all the agencies to start sharing that information with each other. Davis singled out the “Innovate Ohio” proposal DeWine’s campaign published in October, which called on state agencies to accelerate their digitization efforts and for the development of a statewide operating system to facilitate data sharing between offices and using predictive analytics to drive policy decisions. The Ohio Office of Information Technology is part of the state’s Department of Administrative Services, though DeWine has not net announced whom he intends to appoint as that department’s secretary. Still, Davis said, implementing a big IT agenda takes a strong CIO. Rodgers joined the attorney general’s office in November 2014 as a deputy CIO, and was promoted six months later. Before working for the state government, he worked as a vice president for IT at Huntington National Bank, which has about 1,000 branches across the Midwest, for more than eight years. He’s also worked for Accenture and Hewlett-Packard, and holds a bachelor’s degree in organizational leadership from Spring Arbor University in Michigan.